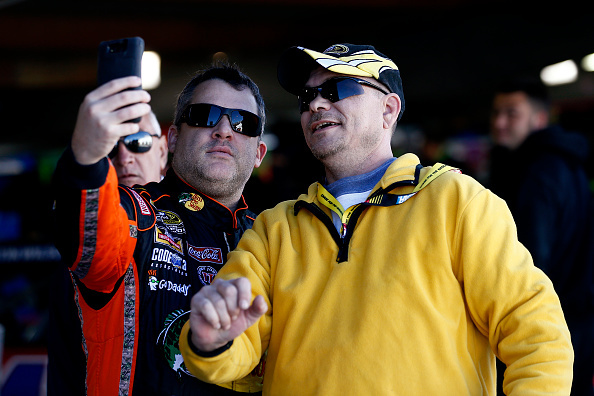 MARTINSVILLE, Va. – By now, through a colossal number of “shares” on a variety of social media, most race fans have seen the photo of Tony Stewart dressed in a Halloween costume as a hairy version of Carmen Miranda. For the owner/driver at Stewart-Haas Racing, Halloween has always been a special occasion, as well as a source of adventure and competition during his childhood. 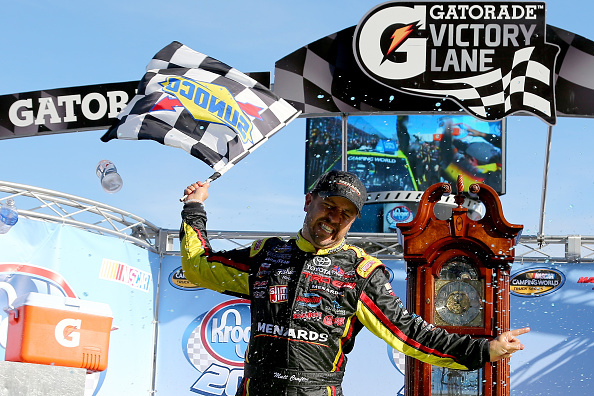 “We took it really serious,” Stewart told Steve Richards of Performance Racing Network. “We made sure that, whatever we were going to wear, we could ride our bicycles. And we would clean out our whole neighborhood—every house in the neighborhood through bikes—and then we would start on the next neighborhoods and get home two hours later than our parents wanted us to. Stewart and his friends made sure to wear costumes that wouldn’t interfere with pedaling a bike. When he finally returned home, Stewart would have a metal trash can bag full of candy. “Not your little kitchen trash bags,” Stewart said. “We were serious about it. We weren’t playing. When we did it, they knew we were there. Halloween at Martinsville Speedway, however, wasn’t a happy occasion for the three-time NASCAR Sprint Cup Series champion. Late in the early-morning practice session at the .526-mile track, Stewart’s No. 14 Chevrolet slid into the Turn 1 wall, forcing his team to roll out a backup car. 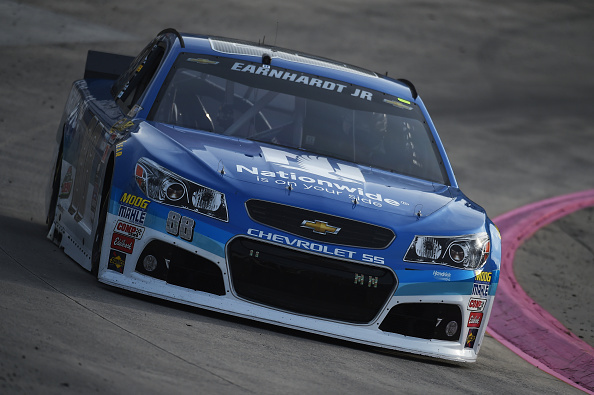 Stewart will give up his 13th-place starting position for the Goody’s Headache Relief Shot 500 on Sunday (1:15 p.m. ET on NBCSN) and take the green flag from the rear of the field.